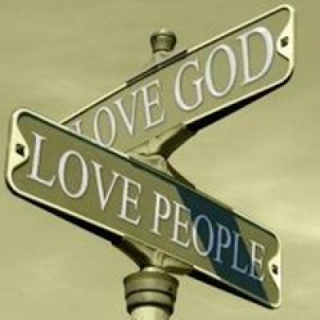 When your job consists of loving God and loving His people the way He loves us.....is it really a job or is it life? Wherever we are and whatever we do for a living....these two things should be the core of our lives. So how do we incorporate it into everything we do? It's our lives....living them for the one who created us. It's our lives....sacrificing self for the one who died to give us eternal life and hope in this world. Whether we love our job or hate our job.....do we hold these commandments at the core or who we are when we are at work? If we live these commandments at home in community.....we should also live them at work. I love my job as Executive Director of Grace Like Rain because at the core of this ministry is these two commandments! Christ is at the center of it all. How to distinguish job from home because my goal is the same at both. And to remember that work is not work....it is ultimately living a life for Him! Anyways, here is my rambling thoughts for today....how do we live these commandments to love the Lord your God and to love your neighbor as yourself in our daily jobs, our daily workplaces? If we alter the point of why we work, does it make the work more fulfilling, more joyful? I'd love to hear your thoughts so....tell them to me in the comments!